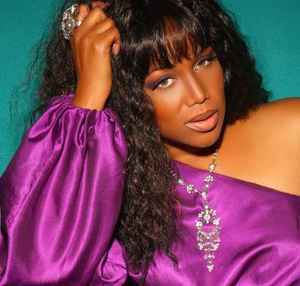 Michel’le Toussant is an outstanding R&B vocalist. She is known for her squeaky, child like speaking voice, which is a startling contrast to her strong vocals. Michel’le was the featured female vocalist on the World Class Wreckin’ Crew’s 1988 single “Turn Off The Lights”. The singer was originally signed to Eazy-E’s Ruthless Record and in 1989 Ruthless Records released “Michel’le” her self-titled debut album, which was entirely produced by Dr. Dre. The album contained the classic “No More Lies“ also hit singles “Nicety” and “Something in my Heart”. The album Michel’le sold over 1.5 million copies and went on to make 2 music videos for the singles from the album. She also toured throughout the United Kingdom in support of the album. In 1997 Michel’le released her second album titled “Hung Jury” in which she released the hit “Hang Time”. In 2003 she appeared on the Dysfunktional Family Soundtrack. Her most recent events were “Chocolate Sunday” at “The Savoy Entertainment Center” in Inglewood, CA on August 2, 2009 and by popular demand for a returned performance on September 6, 2009 with Hip Hop Artist “YoYo”, On Oct. 17, 2009 she performed at the “Taste of Soul” of Los Angeles where there was over 100,000 people in attendance. On December 12, 2009 she performed her new single “Freedom To Love” at The Annual House Full of Toys benefit concert at the Nokia Theater in Los Angeles, sharing the stage with outstanding performers such as Mr. Stevie Wonder, The Jonas Brothers, Robin Thicke, and India Arie just to name a few. On January 16, 2010 she performed in the Martin Luther King Jr. celebration for the city of Long Beach, CA. February 2010 she began her tour hitting the cities of Los Angeles, CA, Long Beach, CA, Pomona, CA, San Bernardino, CA, Chicago, IL, and Houston, TX just to name a few. On May 23, 2010 she performed for The Females of Hip Hop Awards. In 2013, she joined the cast of the TV One reality series, R&B Divas: LA.